The WAA team for this event will potentially consist of 4 recurve and 4 compound archers. The team will compete in the 2018 British Target Championships at Lilleshall National Sports and Conferencing Centre on 11th and 12th August. The Home Nations Match will take place on Sunday 12th August but archers are expected to enter for both days of the Target Championships. Only archers who are members of WAA are eligible and only archers who complete and submit an application form for a place on the team will be considered. Archers are invited to submit three tournament scores from UK or World record status shoots where a qualified judge was present from any outdoor rounds from the current 2018 outdoor season. WAA reserves the right to fill any vacancy on the team in consultation with the Performance Co-ordinator. All team members will receive a WAA team shirt. Please note that from this year all team members will be required to sign indicating that they agree not to wear this shirt at any event where the WAA is fielding a team e.g. National Indoor Championships and they are not members of the team. All team members will also be required to sign an athlete’s agreement. This will confirm their commitment to the standards of behaviour WAA will expect of team members when representing Wales. WAA will pay £75 to each team member for their attendance at this event. Applications to be made by e-mail to Debbie Cooke, Senior Team Manager via cpplemum@aol.com. In all cases applications must be accompanied by the supporting tournament result sheets. CLOSING DATE FOR APPLICATIONS – Friday 15th June 2018. Late entries will not be considered. Please note ALL scores must be from UK or World record status competitions with a qualified judge present and copies of the appropriate results sheets showing the date, venue and judges details must be submitted with your application. 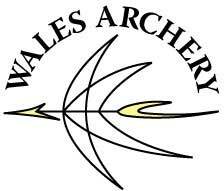 Please note - The personal data requested as part of this application is required by WAA in order to allow us to consider and process your application for a place on the Welsh Archery team. The information will be considered by members of the WAA selection committee and will be stored securely as part of WAA records. Once the team selection has been made, the names of the successful archers will be shared with the relevant competition organisers and published on the WAA website. If you are unhappy with your name being published on the WAA website, please inform the Team Manager.